The Martinez Chamber of Commerce promotes a strong local economy by facilitating and encouraging sustainable commercial, industrial and residential development. 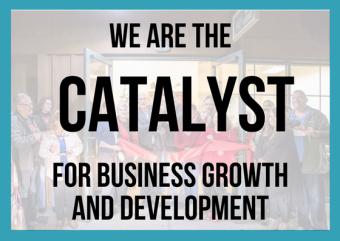 The Chamber works closely with the City of Martinez to strengthen and expand existing businesses and attract new businesses to Martinez. The Martinez Chamber of Commerce is the only organization that works to develop every aspect of our local economy. Whether we are working to expand existing industries, attract new businesses or providing small businesses with assistance, the Martinez Chamber works every day to ensure that there will be a strong and healthy economic environment for our members. On a daily basis, the Chamber strengthens the local economy by encouraging Chamber members and Martinez residents to shop locally. All referrals given by the Chamber are member businesses. Martinez Chamber members can also participate in a variety of “member to member” programs designed to create firm business alliances. And the entire community can access extensive information about our members at www.martinezchamber.com. The Martinez Chamber of Commerce offers many opportunities for members to connect with one another. On the second Thursday of every month, Chamber members and guests gather at a different member location to network and build business relationships in a social environment. The Chamber hosts special events throughout the year that are also opportunities for our members to meet each other and interact with other prominent community leaders. Chamber special events include the State of the City Breakfast, Citizen of the Year Dinner, King of the County BBQ & Music Festival, and Martini's on the Plaza Gala. Additionally, Chamber members can volunteer for the various committees that help guide the Chamber throughout the year. Chamber committees provide a conduit to members for information about economic development, education, community development and promotions, and membership development. On a daily basis, the Chamber strengthens the local economy by encouraging Chamber members and Martinez residents to shop locally. All referrals given by the Chamber are member businesses. Each member business has an alphabetical and business industry listing included in the annual Business Directory and City Guilde and at www.martinezchamber.com. Members can also participate in a variety of “member to member” programs designed to create firm business alliances. Through the online Member–To–Member discount program, Chamber members are able to offer discounted products and services to a captive and motivated audience. And as a Chamber member, you can post your business cards and information at the Chamber office, the central location for business information and resources in Martinez. As a member of the Martinez Chamber of Commerce you become part of the largest business and civic organization in Martinez, representing 250+ members and over 10,000 employees. The Chamber acts as a representative for the business community on important local, state and federal government issues that affect our economy. The Chamber keeps its members and the community informed as to the local impact that government legislation and actions will have on the Martinez community. The Chamber also helps assist our members with specific government issues affecting their businesses. The Chamber is the central point for the exchange of ideas and information regarding economic and community development in Martinez. 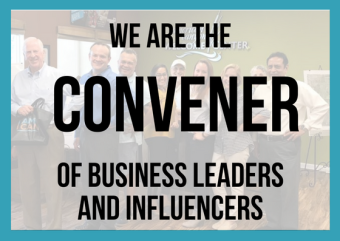 Through its newsletter, regular email communication and website, the Chamber keeps members up-to-date on the most important and relevant issues facing the business community. Chamber members can also access information on labor law compliance, business financing, educational seminars, area transportation, tourism and many other important issues. As a member of the Martinez Chamber of Commerce, your business will receive maximum exposure to Martinez’s executive decision-makers. Through Martinez Business, the Chamber’s monthly print newsletter and the Chamber’s electronic newsletter, a list of new member businesses is highlighted each month. New members are also actively introduced to other members at each monthly business mixer. All members are encouraged to submit press releases or other information regarding their business for publication. As a member of the Martinez Chamber of Commerce, you are automatically connected to the community. 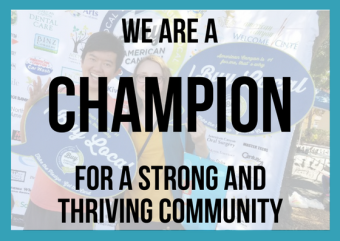 Through its committees, community events and other activities, the Chamber partners with community organizations and civic leaders to strengthen the local economy and bring a higher quality of life to the citizens of Martinez. The Martinez Chamber of Commerce mission is to have a healthy business climate throughout the Martinez area.